Mother’s, Father’s, Grandparent’s Day, Etc. I love this free printable budgeting binder. Budgeting is vital- not just for wealth creation, but to remove stress from life. Financial stress ruins relationships, can cause health problems (as any extreme stress can), and almost never goes away without action. After everything I learned from my own personal finances as well as teaching classes at a homeless shelter, I decided to put a binder to help anyone who wants to get control of their finances. >>Expense trackers. And why you need to track before you can set a budget. Multiple designs for every need. >>Budget templates in 3 different styles for whatever you need. >>Goal-setting worksheet along with step-by-step instructions on exactly how to use it and why it works. >>Practical tips to save money & how to get out of debt. 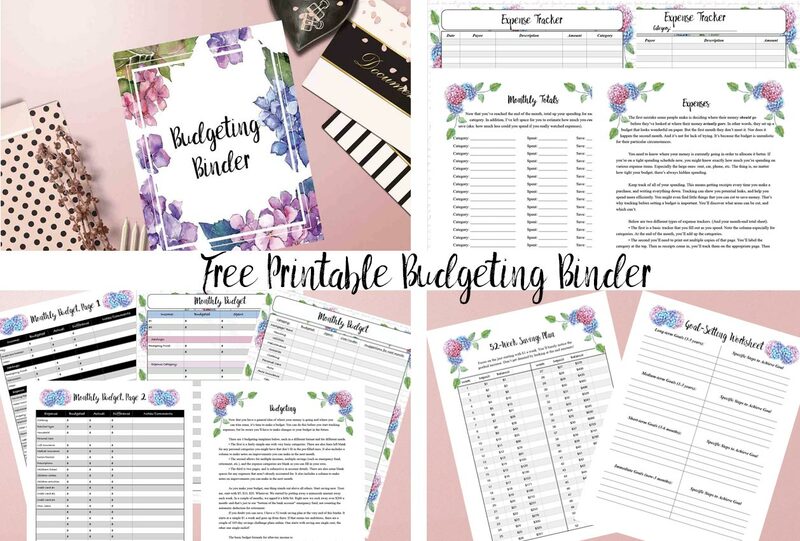 Free Printable Budgeting Binder! 15+ pages. >3 budgeting planner worksheets & tips for saving money. >Goal-setting worksheets & how to pay off debt. Success! Now check your email to confirm your subscription. Remember, YOU HAVE TO CONFIRM, then the freebie e-mail will be sent automatically. FREE Budgeting binder- track expenses, set a budget, set goals, and more! Free Printable Budgeting Binder! 15+ pages with expense trackers, budgeting, goal-setting, practical tips for saving money & more.